The remains of the Marines who were killed in the Chattanooga attacks will be treated with the same ceremonial honors as Marines killed in military action, a Marine Corps spokesman told the Times Free Press Friday. The remains of Sgt. Carson A. Holmquist, Gunnery Sgt. Thomas J. Sullivan, Lance Cpl. Squire "Skip" Wells and Staff Sgt. David A. Wyatt were enroute Friday to the Dover Air Force Base in Delaware, Marines spokesman Maj. Paul Greenberg said. "Upon arrival, transfer cases will be draped and an honorable transfer will be conducted," Greenberg said. The transfer is a solemn practice during which the cases of remains are carried by a team of military personnel -- in this case, Marines -- from the aircraft to a transfer vehicle "to honor those who have given their lives in the service of our country," according to the Air Force Mortuary Affairs Operations website. The vehicle then moves the deceased to the port mortuary. From there, the remains are transported to the fallen military members' hometowns. The honor is traditionally given to military members killed in a theater of operations. 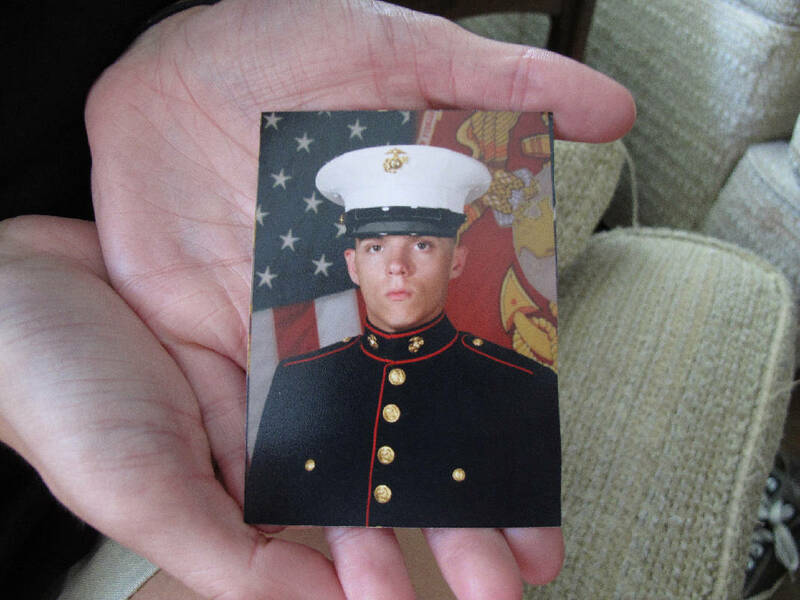 The media, which have been allowed to cover honorable transfers with families' consent since 2009, will not be permitted to cover the transfers of the Marines killed in Chattanooga. The families of the Marine Corps fatalities will be entitled to full benefits since the Marines were all on in active duty status, Greenberg said. Greenberg said the official determination of whether the four Marines died in the line of duty is "a very complex military legal term," and will be made in writing at a later time. "I can state with confidence that these Marines were serving their country honorably, performing their duties in a professional manner, at the time of their deaths," Greenberg said.